Join other area employers for a presentation on disability inclusion in the workplace. 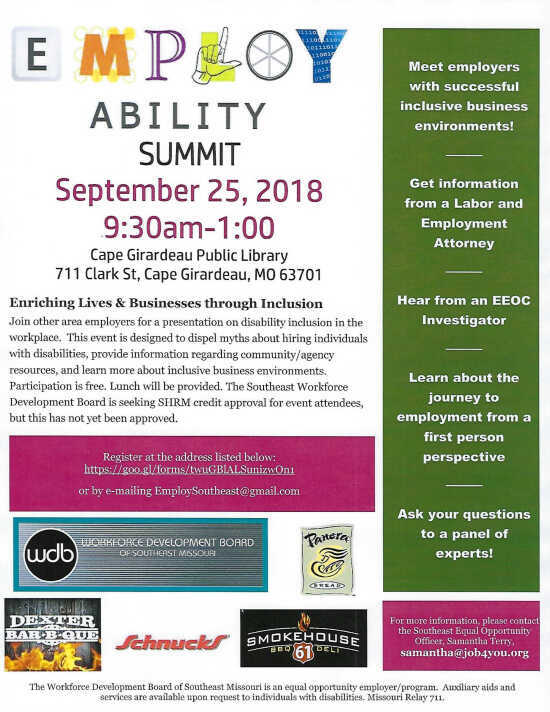 This is our 2nd annual event and it is designed to dispel myths about hiring individuals with disabilities, provide information regarding community/agency resources, and learn more about inclusive business environments. Participation is free. Breakfast and lunch will be provided through our sponsors.